January/February have been the first two busy months for the new FIG Leadership. 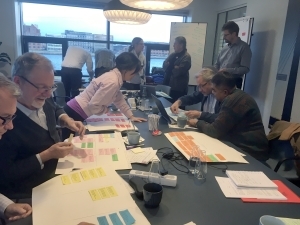 FIG Council and Commission Chairs held a preparatory meeting in January in Copenhagen. The Commision Work Plans were discussed, and the technical programme for the FIG Working Week 2019 in Hanoi, Vietnam was prepared. The Council and Commissions Work Plans will be presented at the General Assembly 2019. If you have not yet registered for the FIG Working Week it is now time. Read more about the Working Week and General Assembly in this issue of the newsletter as well as reports from other events and activities. In January GIM International Magazine published an interview with FIG President Rudolf Staiger. Rudolf Staiger gave an interview to Durk Harsmaa, Director Strategy and Business Development, GIM International Magazine, about himself, his background, on his ideas and thoughts on the surveying profession and the challenges that are lying ahead. FIG Commission Chairs and Council had administrative meetings in Copenhagen in January. The Commission Work Plans were discussed - and they will be presented at the General Assembly 2019 in Hanoi Vietnam on 22 April 2019. The Commission chairs also worked on the technical programme putting together an exiciting programme for the three conference days. The photo shows the speed-dating workshop where the Commisison Chairs worked with all the abstracts that have been submitted for the Working Week. FIG Council also had a two day meeting in which they discussed the council work plan that will also be presented at the General Assembly. From April 2019 Claudia Stormoen Pedersen will be on maternity leave. 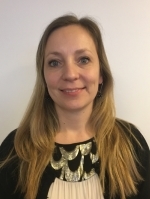 Already 1 January 2019 Katja Lambertsen started in the office in a temporary position lasting until end of June so that she could become acquainted with the Working Week in Vietnam which she will be attending in stead of Claudia. At the Working Week you will therefore meet Katja, Maria and Louise. Katja is Danish, and has a long experience working in an international environment. Katja can be reached at figsupport@fig.net. A warm welcome to Katja! FIG General Assembly will be held on 22 and 26 April 2019 in Hanoi, Vietnam at Vietnam National Convention Center. This is an invitation to all FIG members to attend. The General Asssembly agenda will be published and sent out to all members per email in March. At the General Assembly the Council Work Plan will be presented by President Rudolf Staiger, All Commission and network work plans will also be presented. 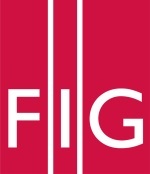 Read more about the Working Week at www.fig.net/fig2019 where you can also register. The World Bank Land and Poverty Conference will take place in Washington, DC, 25-29 March 2019 with the overall theme "catalyzing Innovation". FIG will be represented by President Rudolf Staiger and Vice Presidents Diane Dumashie and Orhan Ercan. Have you planned any activities to celebrate this years Global Surveyors Day? We will be happy to help announce this for you, and please send in some photos/text afterwards, and we will collect these in a news item on activities that have been taken place around the world. 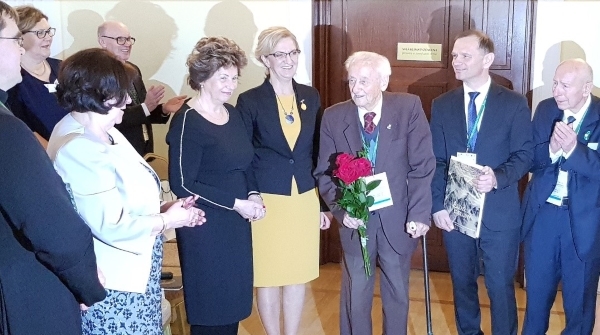 CLGE will gather in Sofia (BG) for its first General Assembly in 2019, on 22 – 23 March 2019, and there will be a special celebration in Bulgaria where also the new Surveyor of the Year is unveiled. This is the 8th consecutive unveiling of this kind. The celebration takes place in conjunction with a CLGE seminar, organized together with the FIG member from Bulgaria. The title is of the seminar is: “The challenges for Geodetic Surveyors, Vision 2030” Those who are interested in attending this event and are not registered yet can do so by writing an email to GlobalSurveyorsDay@clge.eu. If you are organizing similar events, please let us know it at the same address and we will populate the ad hoc website www.globalsurveyorsday.com. Each month on the FIG web site we publish a paper called the Article of the Month. January 2019: The Future of Authoritative Geospatial Data in the Big Data World – Trends, Opportunities and Challenges by Kevin Mcdougall and Saman Koswatte, Australia :This paper was presented at the Commission 3 meeting in Naples, Italy and was chosen by commission 3 as paper of the month. The paper will examine the drivers of the “Big Data” phenomena and look to identify how authoritative and big data may co-exist. February 2019 From a Property Tax to a Land Tax – Who Wins, Who Loses? by Peter Wyatt, United Kingdom. This paper has passed the FIG peer review and will be presented at the FIG Working Week 2019 in Hanoi, Vietnam. The paper looks at some of the consequences of switching from recurrent real estate taxes that are based on improved values to one that is based on the value of unimproved land. The FIG Working Week will be the major event in 2019 in the global community of surveying and geospatial professionals. It is organised by FIG - International Federation of Surveyors and VGCR - Vietnam Association of Geodesy, Cartography and Remote Sensing. The main objective of the FIG Working Week is to bring together experts from academia, governments/public administration and industry to report on recent developments, trends and research results. To secure your early bird rate register now for this grand event. Register for tthe main conference with a comprensive technical programme consisting of plenary and technical sessions, forums, special meetings and much more. Three pre-events start the Working Week - on BIM, on Reference Frame in Practice and a Young Surveyors meeting. It is also possible to register for these events in the registration form. 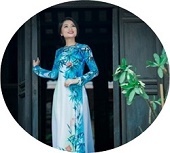 If you would rather want to explore Vietnam the pre- and post-tours gives you a splendid opportunity to learn more about this beautiful and wonderful country. Finally, do not miss the social events. 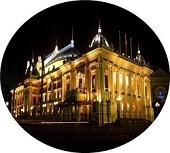 Included in your registration fee is the Cultural Evening, supported by FIG Foundation and Trimble. The theme of the conference is Geospatial information for a smarter life and environmental resilience. Focus will be on tackling the climate changes by working towards a smarter life both through the development of smart cities and also in rural areas. Spatial information, big data, surveying, BIM, land administration and much more are essential factors in this development. 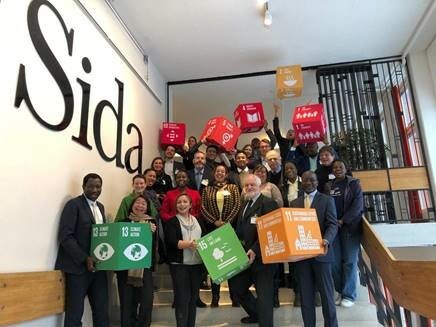 Vice President Diane Dumashie represented FIG at the GLTN Steering Committee meeting as co-lead of the Professional Cluster during the term 2019-20. 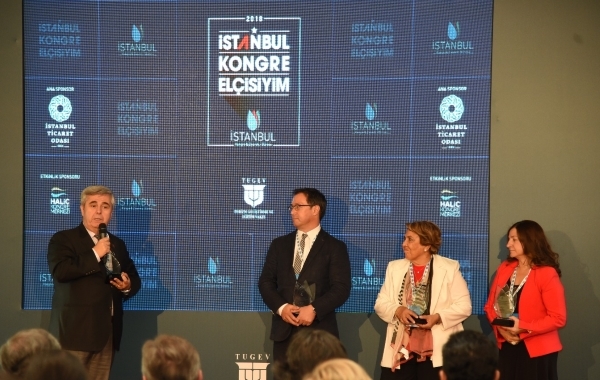 Vice President Dr.Orhan Ercan awarded as the "Istanbul Congress Ambassador"
FIG Commission 3 and 7 Work Group on 3D cadastres has been active since 2010. 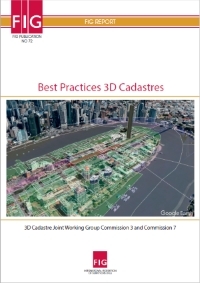 It is a pleasure to present the result of this work collected in this FIG Publication with Best Practices. It is available both in a short FIG pulication version and a long, extended version. The FIG Foundation offers author support grants of up to 28,000 euros spread over a maximum of four years. The grants are aimed at (1) increasing FIG publications by authors who reside in low-income, lower-middle or upper-middle income economy countries, and (2) contributing to the implementation of part of a Commission’s Working Plan. CLGE General Assembly and seminar “The challenges for Geodetic Surveyors, Vision 2030” organized by CLGE together with the FIG member from Bulgaria. 4th Joint International Symposium on Deformation Monitoring, organised by The School of Rural and Surveying Engineering of the National Technical University of Athens (NTUA) in cooperation with FIG and IAG. 6th IcGSM International Course on GEOTECHNICAL and Structual MONITORING, organised by Natural Hazards Control and Assesments (NHAZCA SRL) in cooperation with SAPIENZA Universitá di Roma and FIG. Remember that you can follow FIG on the social media. The monthly Newsletter is mailed to all members, commission delegates and all interested partners. FIG offers the Newsletter to all members of member associations and other interested in FIG. If you don't already get your copy you can order it now at: www.fig.net. FIG Newsletter brings you latest information about FIG and its activities. The information referred here is in full length available on the FIG web site. Thus the Newsletter is produced to inform you what has happened recently and what interesting things are going to take place in the near future. The FIG Newsletter is circulated monthly or bi-monthly by e-mail. The referred articles are in English and written in a way that you are able to extract them to your national newsletters or circulate to your members and networks. If you do not want to receive the newsletter in the future, please click here to unsubscribe from the mailing list.